You already know that in a world as complex as ours, it's not really possible for anyone to know the definition for every word they see. It's safe to say that things get even more confusing when technical or industry-specific words are thrown into the vocabulary. 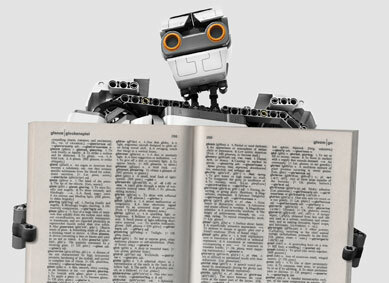 Read these Glossary entries to learn more about what we do here and how your child can benefit from enrollment at Great Minds Robotics. If you want to know more about a unique term on our site that isn't covered in this glossary, please call us at (818) 292-8008. We'll do our best to tell you more and your inquiry may help future site visitors. We appreciate your participation in making the Great Minds Robotics website more informative and easier-to-use.